I’m always asked what my favorite place has been, by both my friends and people I meet on my travels, and I feel a little silly not having an answer. I can usually narrow it down to a handful of places but honestly, its hard to limit it to that many. So I thought about it and mostly narrowed it down to ten. But I had some trouble with criteria and with contrasting experiences. How do you compare the multi-day trip in a national park with a few hours’ hike or with a museum visit? How do you compare the experience of coming upon otters floating in a bay with a backpacking trip to a lake, or a week- (or two, or three) long experience exploring a small geographical area that included multiple great activities but maybe not a single one that broke the top ten? So I have decided to do three separate posts: The first on favorite places, the second on favorite hikes, and the third on favorite states (or geographical areas). All the places in these posts are not just specific to me personally, but also the actual experience of my visit; they are thus not necessarily the most wondrous sights or the most mind-blowing destinations. My favorite places were ones that sparked a feeling of joy, a sense of well-being, and, in general, spoke to me. They were places I felt happy, comfortable, and alive. Locations that were crowded or at which I didn’t enjoy myself were – no matter how amazing – thus not included. This first post is the overall favorite places list. I can’t really narrow it down further by ranking them so they’re listed in order of my trip. Grand Teton was my first exposure to mountains bigger than the Appalachians – and to glacial lakes. The snow-capped peaks overlooking the clear blue lakes captured my imagination and kept amazing me with each new vista. Teton was also my second experience backpacking and the first time doing a multiday excursion. What really cemented it as one of my favorites was that I visited with my friend Carrie, who makes any trip ten times better: We seriously had the best time. Glacier National Park was AMAZING. 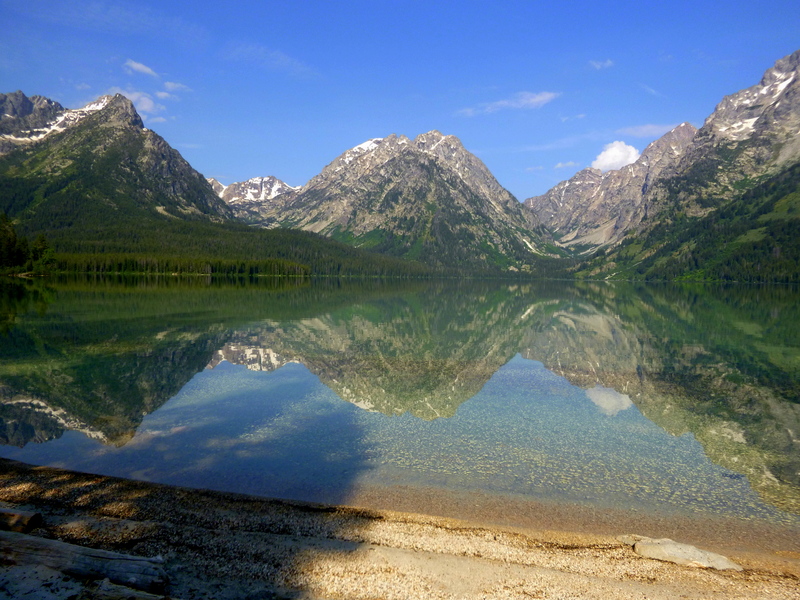 Carrie and I saw many of the same features as Grand Teton – mountains, glacial lakes, and rivers – but they were on steroids. Add in colossal glaciers and towering waterfalls, and I was smitten. In addition, the lakes here were an incredible deep turquoise – a water color I didn’t even know was possible. We hiked, swam, and waded into water with icebergs. Pretty great, huh? 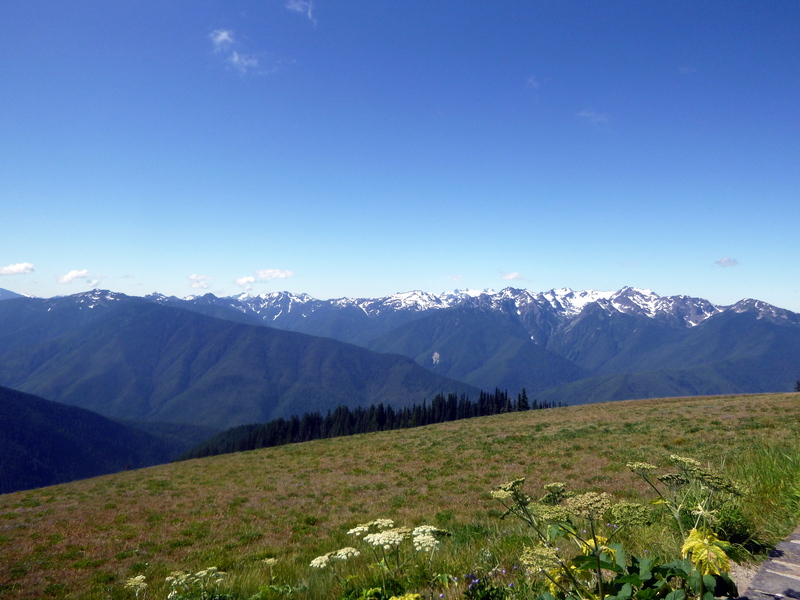 Olympic National Park has probably the most amazing combination of geographical features in one place: Mountains, ocean, and temperate rainforest. I was incredibly excited to see the rainforest in particular and I was not disappointed. In addition I got to backpack on the coast, I spent three nights camped on the beach, and got my first taste of the Pacific Ocean. Capitol Reef was wonderful for so many reasons, but the best two things was that it was my first time seeing Utah’s red rock and that my friend Rachel flew out to visit me. 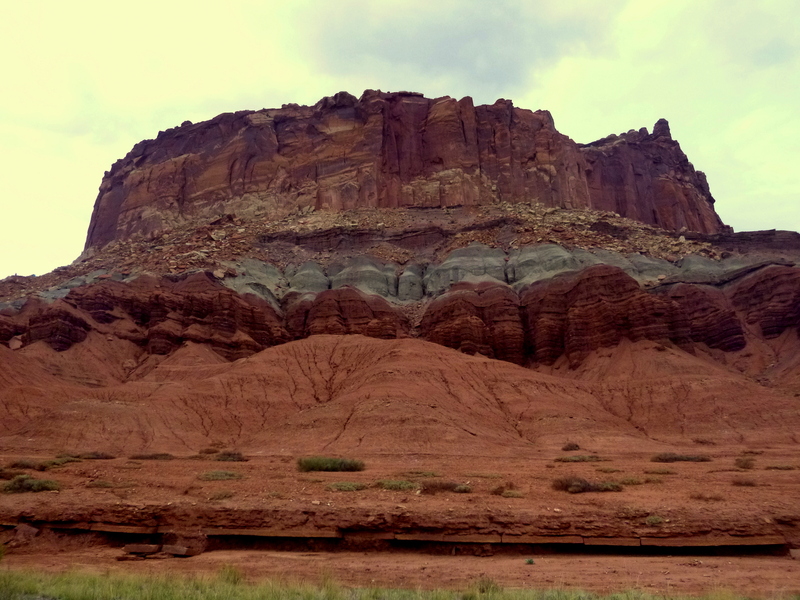 The red and white sandstone was amazing at Capitol Reef but the sedimentary strata exposing nearly 200 million years was just an incredible rainbow of colors. We also felt like we had the place to ourselves, whether on day hikes or when we backpacked and stayed the night out in Spring Canyon. If pressed, I would without hesitation name Chaco Canyon as one of my very favorite places. I came across my first Anasazi ruins at Chimney Rock National Monument by accident, but I became so interested in the archaeological ruins and the culture that I explored numerous other sites. 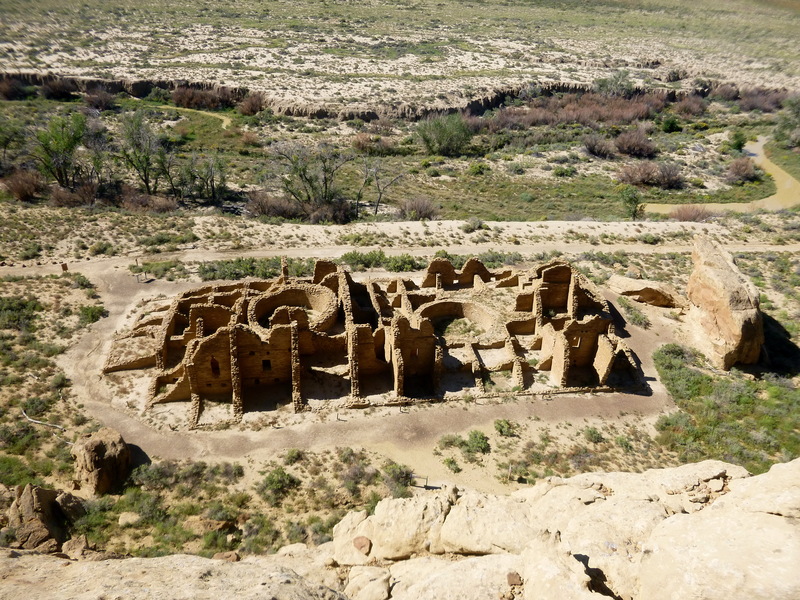 Of those, Chaco Canyon was undoubtedly the most impressive – the canyon contains at least a dozen major sites, some of which were ruins that contain 650 rooms each. The experience of walking through these massive structures was indescribable. 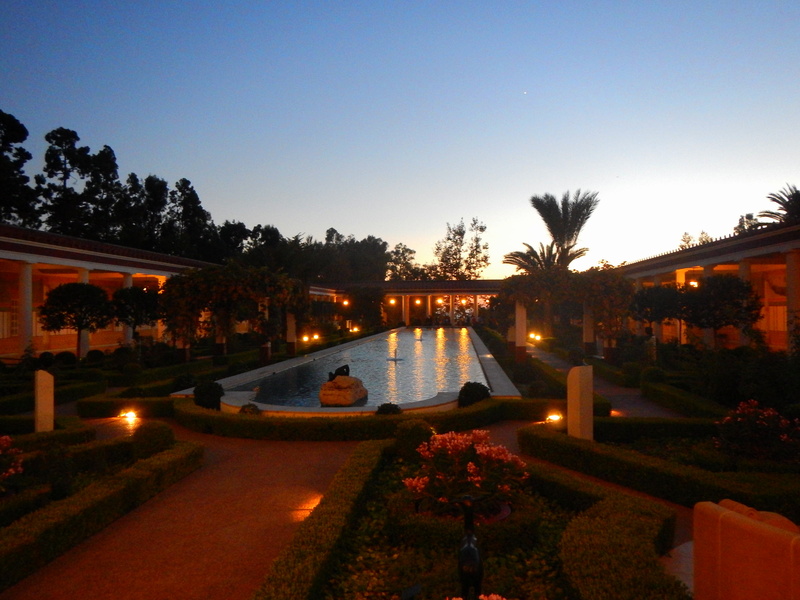 The Getty Villa was a place I’ve been wanting to visit forever, but particularly since I became immersed in studying Roman art and culture when I was in college. The museum contains one of the best collections of ancient Roman, Etruscan, and Greek art in the world and one of the finest examples of the Empress Livia’s portraiture. And the villa itself is a reconstruction of the Villa of Papyri that was preserved by the eruption of Mt. Vesuvius which makes it the best alternative to an actual visit to Herculaneum. My visit was a dream come true. 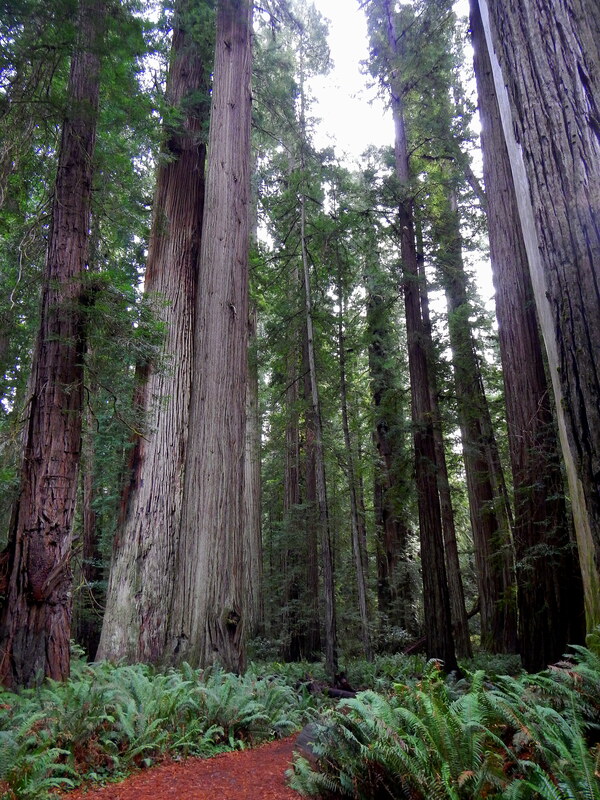 The Redwoods was another place that I would instantly name as one of my favorites when asked. Even though I had already seen towering trees in the temperate rain forest at Olympic National Park, I was completely unprepared for the breadth and sheer mass of these giants. I was continuously amazed by the trees but also by the utterly still environment – the openness beneath the canopy and the floor carpeted with duff. It was the first place I recall visiting that I felt so utterly at peace. My visit to Great Wass Island Preserve was unplanned but also completely unexpected. 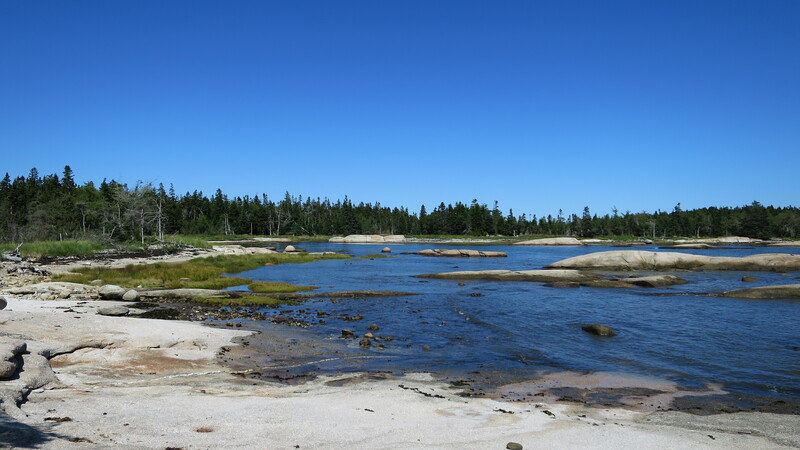 I found the northern coast of Maine to be just beautiful – the combination of wild, blue water, rocky shore, and green pines was striking – but the coast at Great Wass was an amplified version of this and just completely breathtaking. What was most spectacular was that a mile and a half of the trail involved walking and doing some minor climbing on the granite coast. And I never saw another person the whole time: It was completely isolated. I had no idea what I was getting into at Joggins. I walked down the cliffs to the beach and immediately saw fossils. Everywhere. I could not stop gaping as I touched and held readily identifiable tree roots and small marine animals that were over 300 million years old. It seemed impossible to me that I was able to wander along this area and see things that might be washed out in the next tide. It still seems impossible now actually. My first glimpse of White Point made my breath catch in my throat. I stopped and gawked at the stunningly beautiful highlands but then I found I couldn’t walk fast enough. 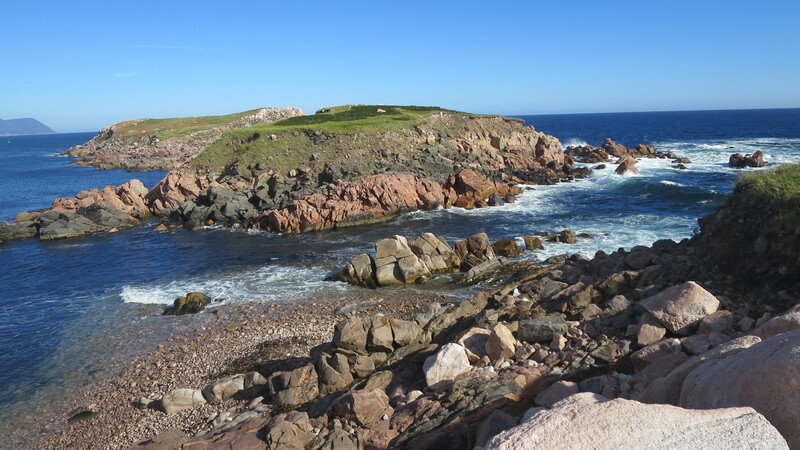 The uber-green grass, saturated blue water, and the vivid pink gneiss was captivating. Beyond that however, I had an instinctual recognition of this landscape and I felt a strong sense of belonging. I was staggered by the sheer happiness that the highlands of White Point provoked and I could have easily sat there for days. Fantastic rock colors and strata, a plethora of fossils, amazing hikes, and fantastic landscapes that rise out of the high desert. ‘Nuff said. Incredibly black land contrasted against the vivid blue sky. Add in basaltic lava cones, iridescent blue pahoehoe lava, and multiple lava tubes. An otherworldly landscape as foreign as the moon, but not at all similar in appearance. One of the most peaceful places I have been, one that intensified my feelings of calm, and a place where I felt a sense of comfort and belonging. The rough waves and granite shores were beautiful. Magical would be the apt word. Fantastic basalt structures, beautiful views, stunning blue ocean, gorgeous trails, seals, lighthouses, and whale watching. And isolated and gorgeous places to camp. Beat that. The northern part of the island has – no contest – the most beautiful highlands and saturated water colors. 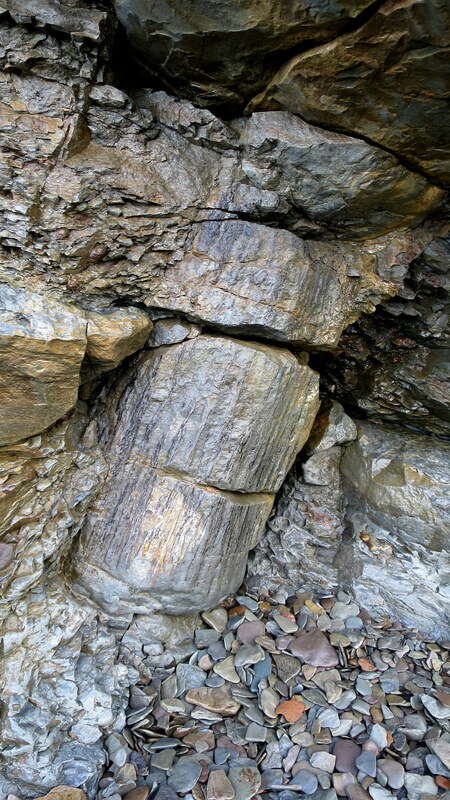 Remote beaches, amazing views, incredible gneiss and schist rock formations, and utter peace. ← Cape Breton Highlands National Park, Part 6: Mary Ann Falls, a Swim in Warren Lake, and Last Minute Moose! Thanks so much, Trudi! I am definitely drawn to places with more space and less people. Fortunately we have many areas of the country that are still rural and undeveloped here. Great round-up! I have been really bad about keeping up with you, Meghan, but I hope that all is going well and I look forward to catching back up on here! Thank you so much, Paige! I’m sure you’ve been working hard getting ready for your SE Asia adventure – I can’t wait to read your blog posts and see your pictures. Thank you too for linking to me on your latest post; I’m flattered that I’m helping to cure your travel bug! Hope all is well with you too. Take care! Really great inspiration and beautiful photographs. I think I might have to visit Glacier NP sometime this year! Thank you, Rob. 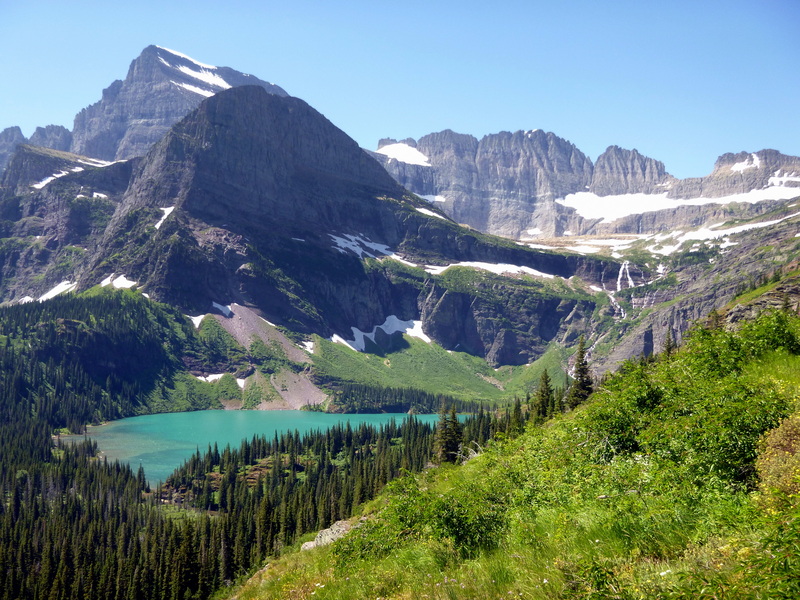 I’m glad you enjoyed the post and I obviously highly recommend Glacier National Park!